Virgin Mobile has agreed to an exclusive search deal with Yahoo for its four million customers - as it launches its 30p mobile broadband service. Although it has yet to be seen just how Virgin rolls the deal out across its existing customers, Yahoo will now be the official search partner to the company. Yahoo has sunk a lot of money into its mobile search, trying to cut to the heart of what mobile searchers actually want from their results. 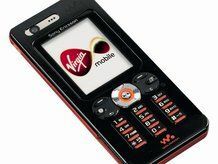 "It ensures our customers have all the information they need at their fingertips," said Virgin Mobile's MD Graeme Oxby. But, with Google getting into mobiles in typically robust fashion, it's a difficult path for the already beleaguered Yahoo to take, despite 70 similar deals worldwide. Meanwhile, Virgin Mobile's 30p a day 'unlimited' broadband package has arrived, with the company hoping to boost its online web portal. Of course, the world unlimited doesn't actually mean unlimited – the cap is at 25MB with a charge for excess. The offer does not include internet phone or video calls, peer-to-peer file sharing, using your phone as a modem with your laptop, or whilst you are abroad. "As handsets get smarter and faster, mobile web usage has increased significantly and more customers than ever are using their handset to connect them to the internet when they're not at home," added Oxby.